Anthony Martial has had a season which has been underwhelming by his standards to say the least, and to make matters worse, the striker has been left out of France’s upcoming International fixtures. The lad burst onto the scene at Old Trafford under Louis Van Gaal last year, but has not been able to impress Jose Mourinho this season, which has seen him fall down the favoured ranks and spend time on the bench more often than any player would like doing so. When asked about why the talented striker, dubbed as the next Thierry Henry, has been absent from France’s last 4 games and is set to miss the upcoming 3, Didier Deschamps said: “Even though Anthony is playing a little bit more since Zlatan’s injury, he has a limited amount of playing time. 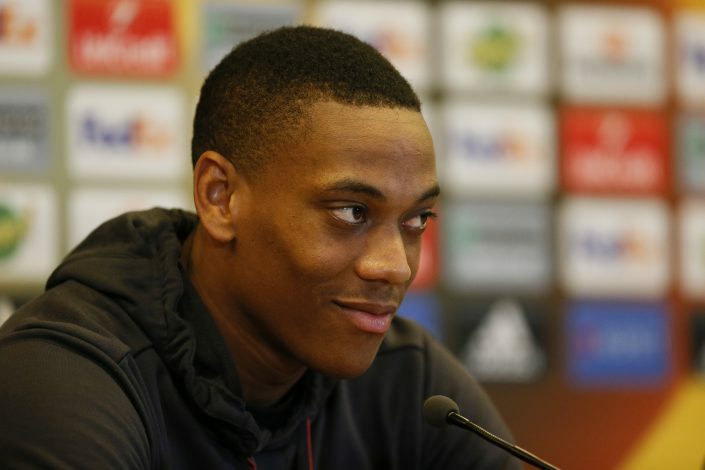 Martial has lately been preferred as the second-choice striker behind Marcus Rashford by Jose Mourinho, and he will be hoping for a change in the summer to come back firing balls into the back of the net for the Red Devils. Meanwhile, his club teammate Paul Pogba has been chosen by Didier for National duty, and when questioned if the criticism the midfielder has received would have any effect, the boss answered by stating: “He’s played well, he’s been consistent, he’s scored goals and created them.